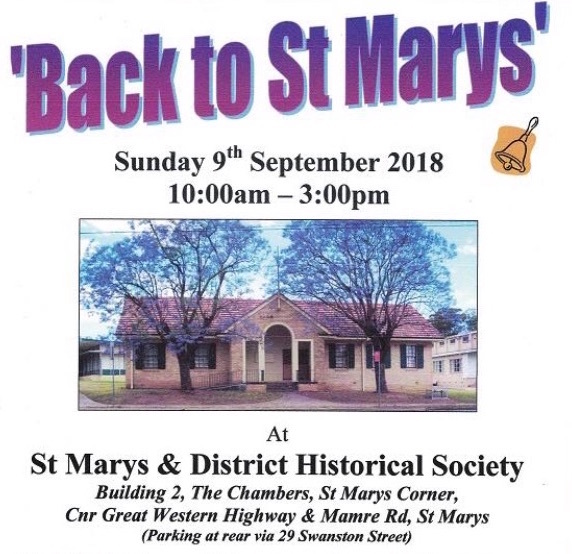 If you loved checking out Windows on Queen and want to find out more about St Marys’ history, you’ll want to head along to Back to St Marys at the St Marys & District Historical Society on Sunday 9 September, 2018. This special event will give visitors the chance to enjoy many historical photos of St Marys. There will be a ‘Sports people of St Marys’ photo display and the opportunity to search through the many school photographs collected by Paul Mills. This reunion event is held every year at the historical society’s headquarters at the Chambers Building on the eastern corner of Mamre Rd & the Highway at St Marys and is completely free to attend. Parking is via Swanston Street into the St Marys Precinct. All are welcome to head along and enjoy in reminiscing about St Marys’ past. There will be tea, coffee and cakes available for a small price and you can bring your own lunch along to eat at the tables there. If you’re interested in finding out more about the St Marys & District Historical Society you can find them online at www.stmaryshistoricalsociety.org or on Facebook – https://www.facebook.com/Memories-of-St-Marys-South-Creek-NSW-Australia-122749694597723/. 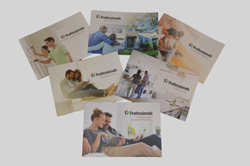 You can also pop in during August for one of their open days. Open days are from 10am to 2pm on Saturday 18th August, Wednesday 22nd August and Wednesday 29th August. You can also head along to their monthly meeting on Saturday 25th August from 1pm to hear about what the group do. 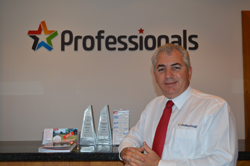 Contact 0450 132 181 (voicemail – except open days) to find out more. This entry was posted in Outer Western Sydney News on August 17, 2018 by Terry Hansen.